There are no comments for T. Roosevelt Cartoon, 1904. Click here to post the first comment. 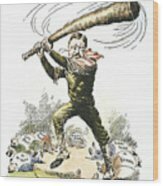 T. ROOSEVELT CARTOON, 1904. 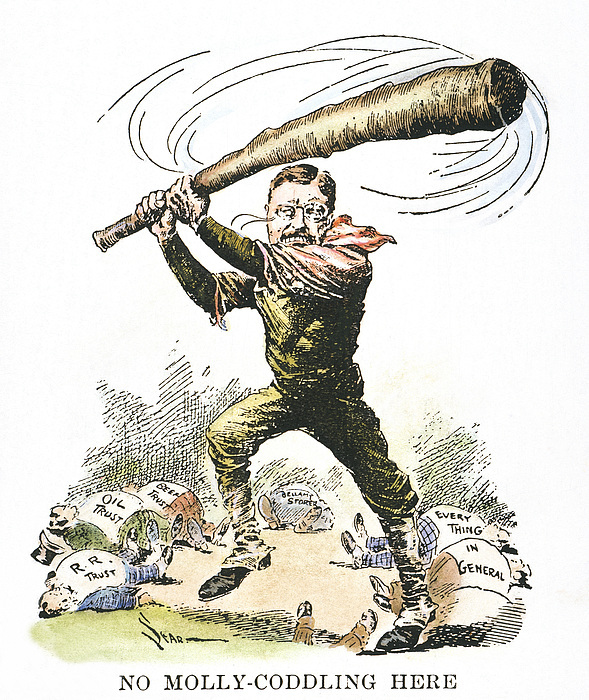 "No Molly-Coddling Here": President Theodore Roosevelt swinging away his "Big Stick" at the trusts and "Every Thing in General": American cartoon, 1904.